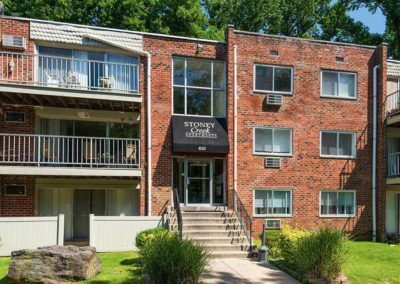 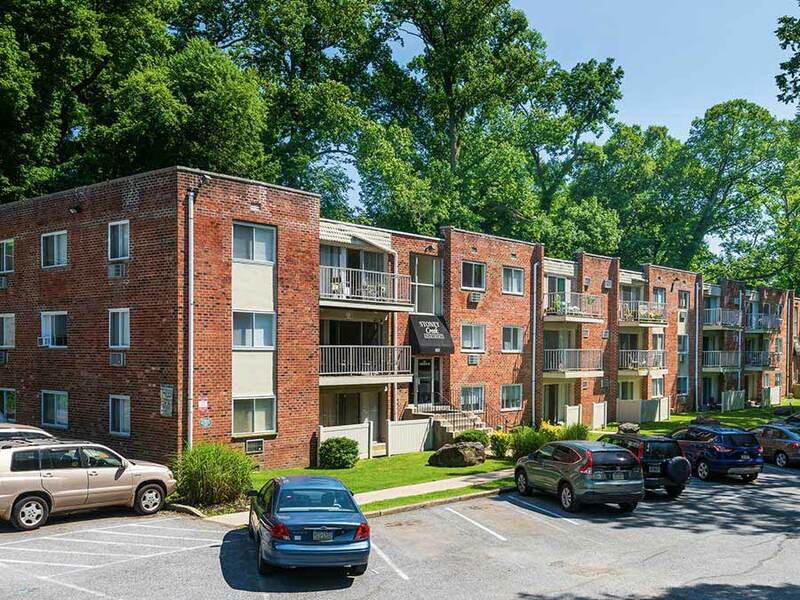 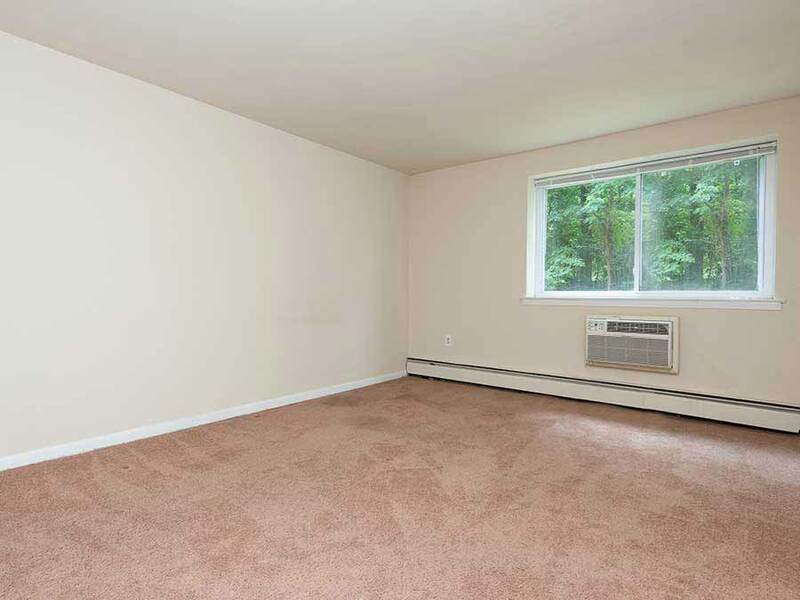 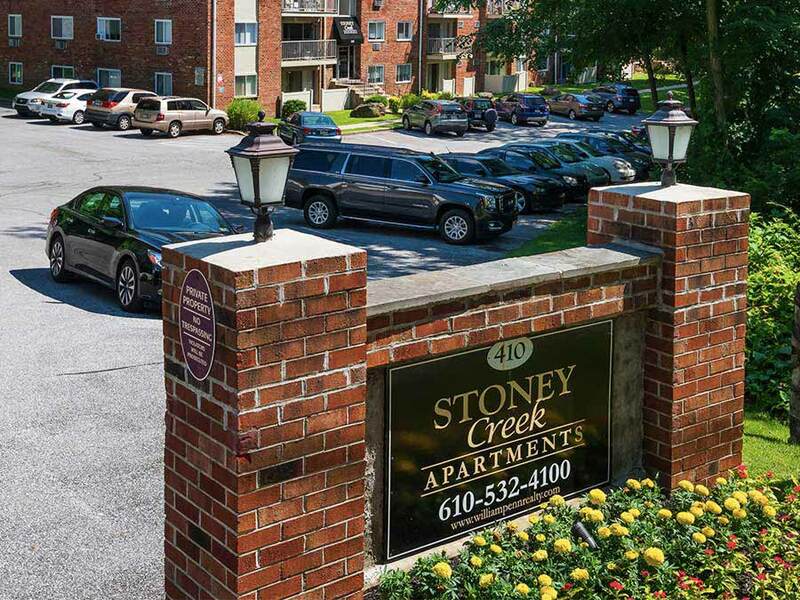 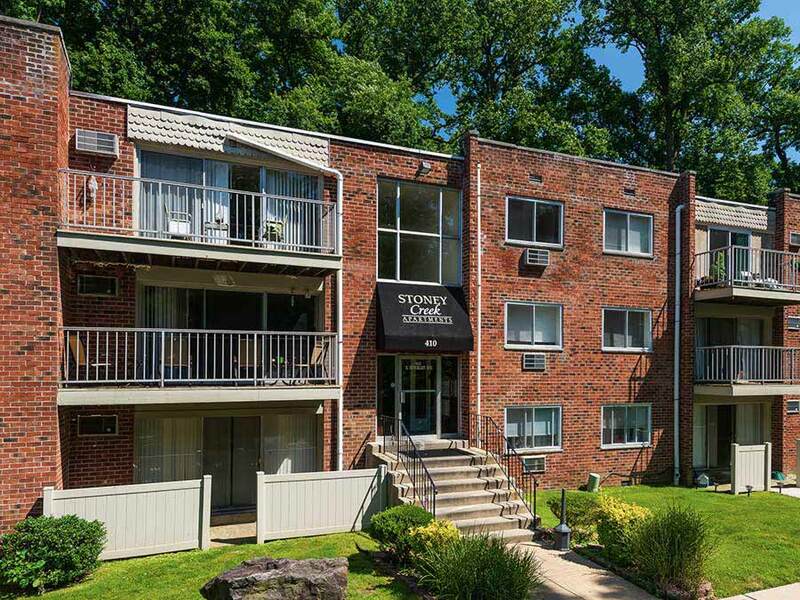 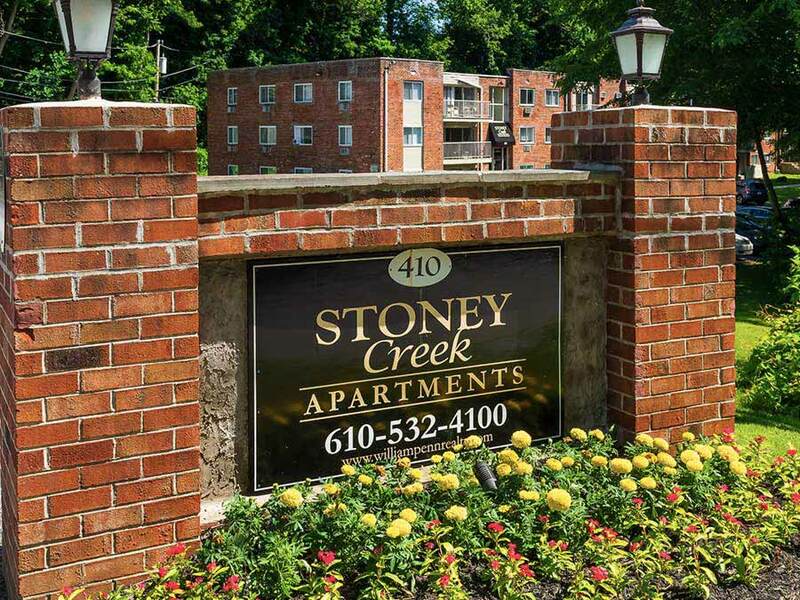 Stoney Creek Apartments are located in a wooded area with a stream running adjacent to the property. 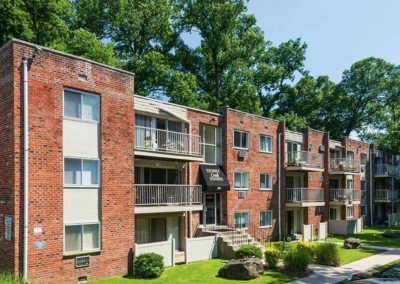 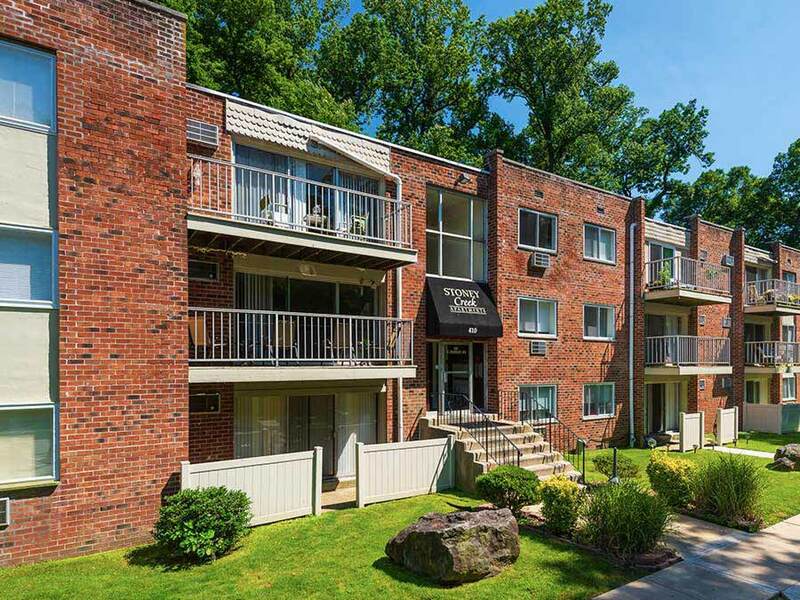 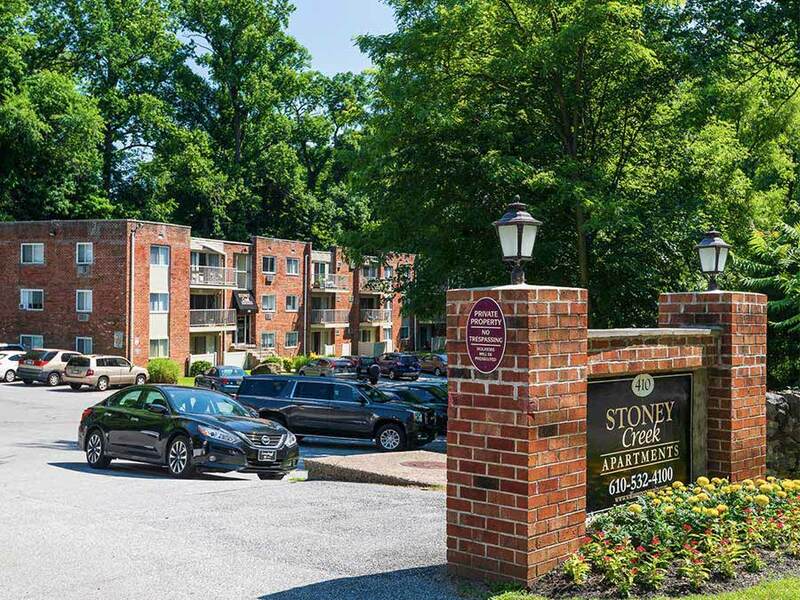 It is located just a short walk away from the Ridley Park Train Station and the quaint shopping district in the center of town. 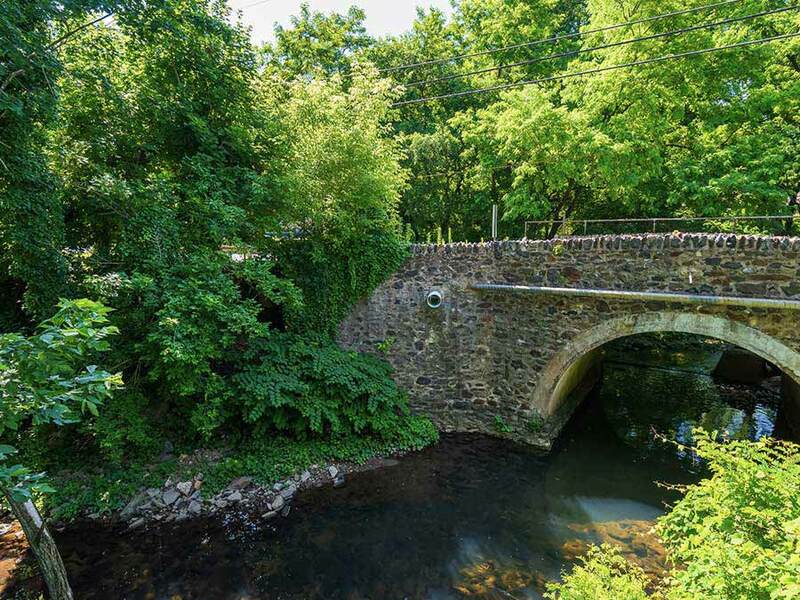 I-95 and #476 (Blue Route) are just minutes away. 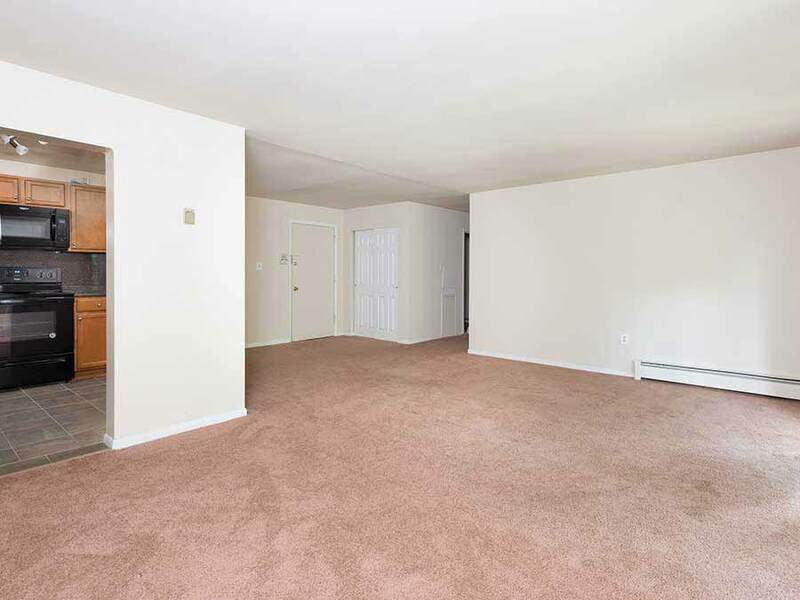 The property offers very spacious 1, 2 & 3 bedroom apartments, some with 1.5 or 2 full baths. 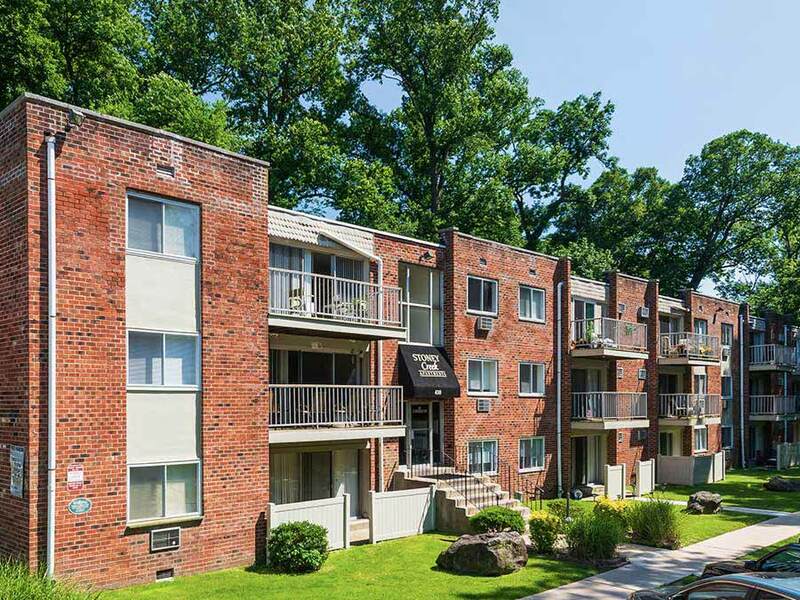 Most apartments have balconies or patios. 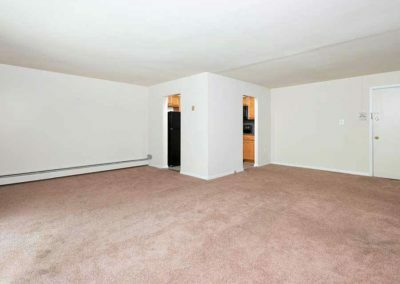 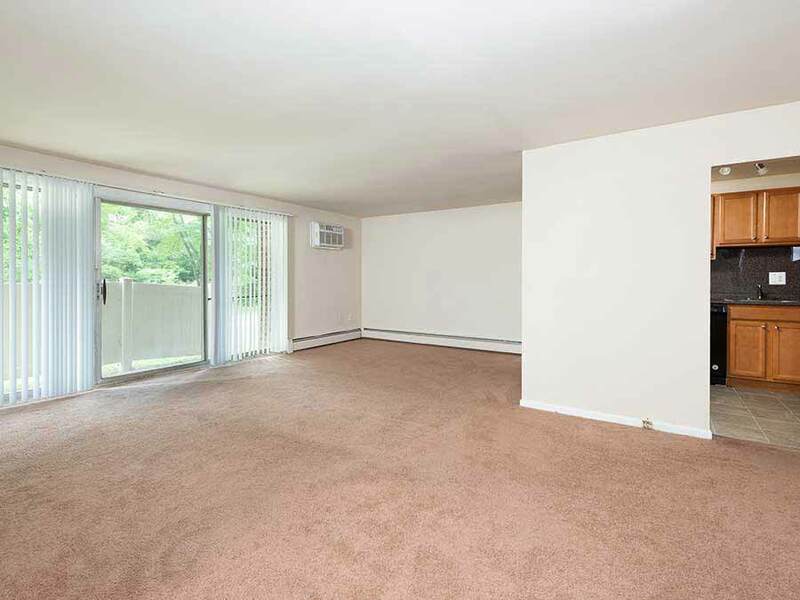 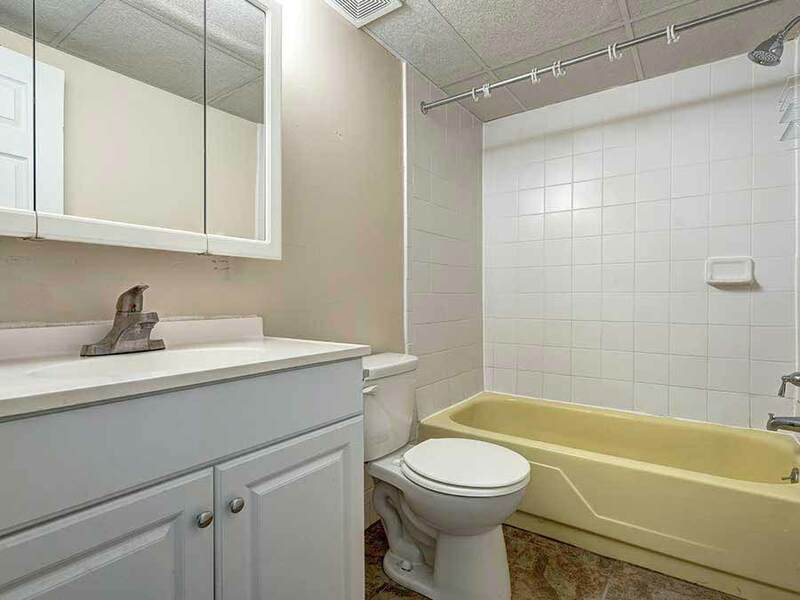 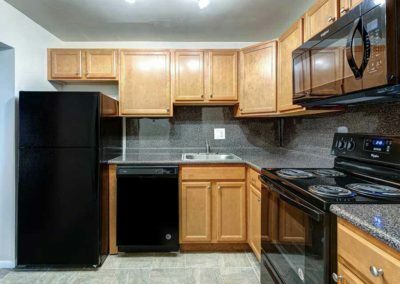 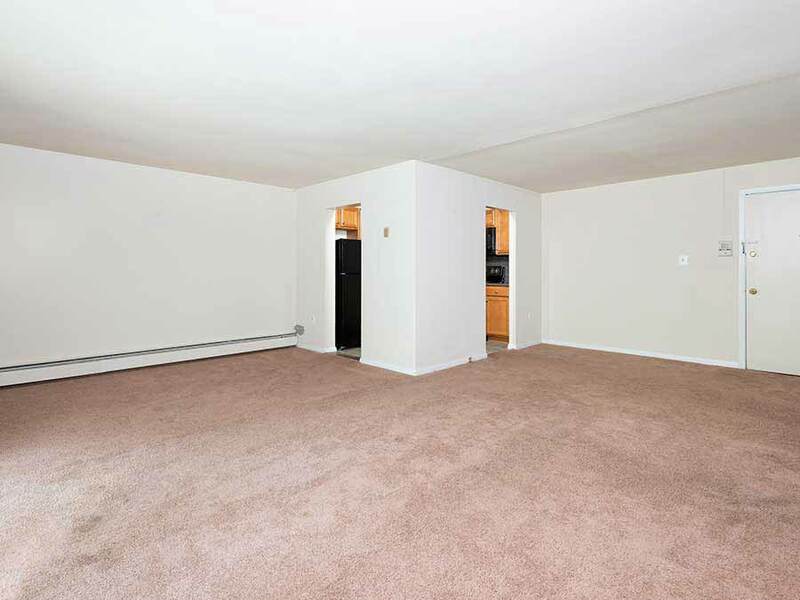 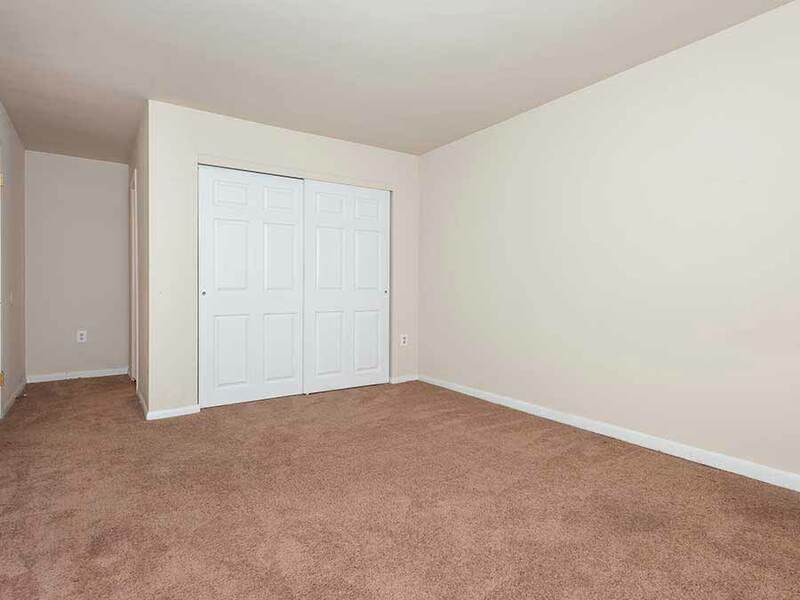 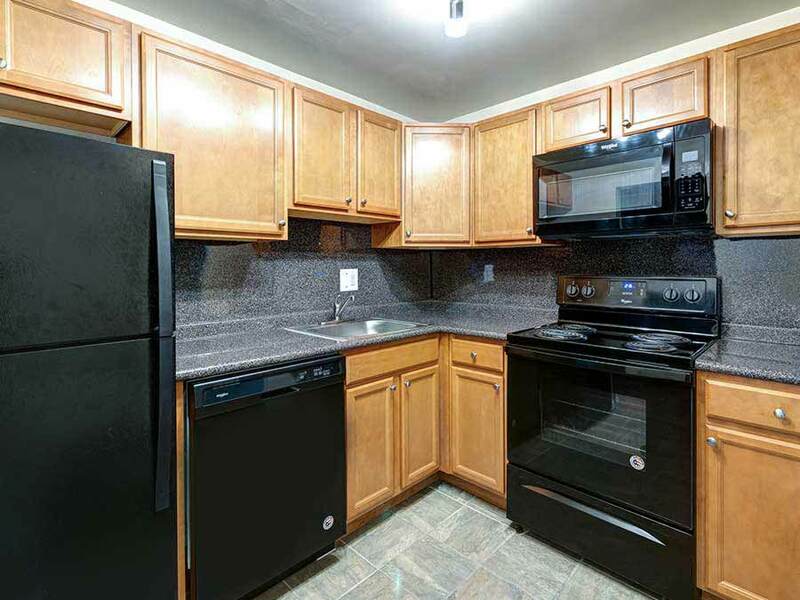 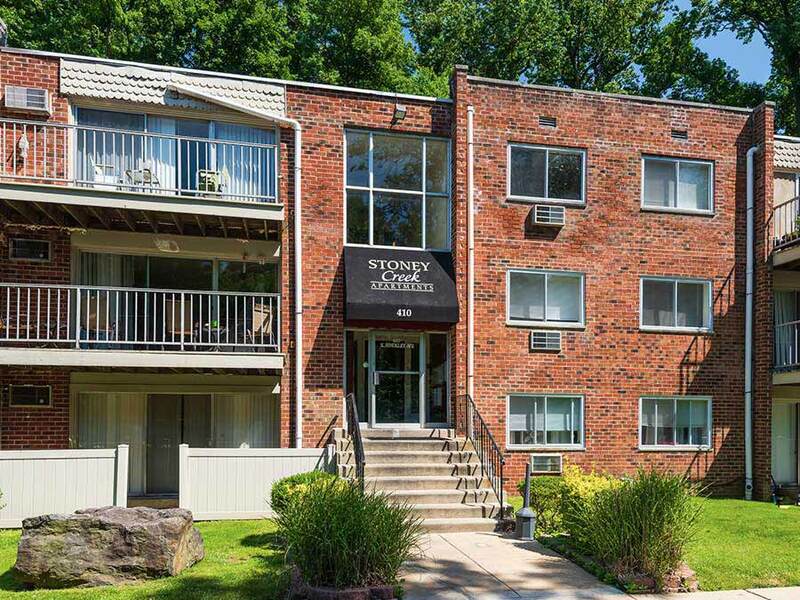 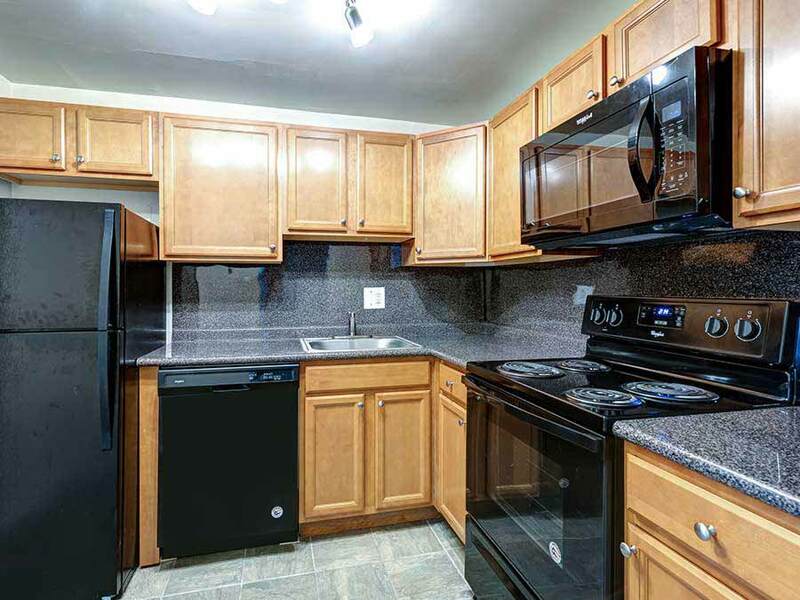 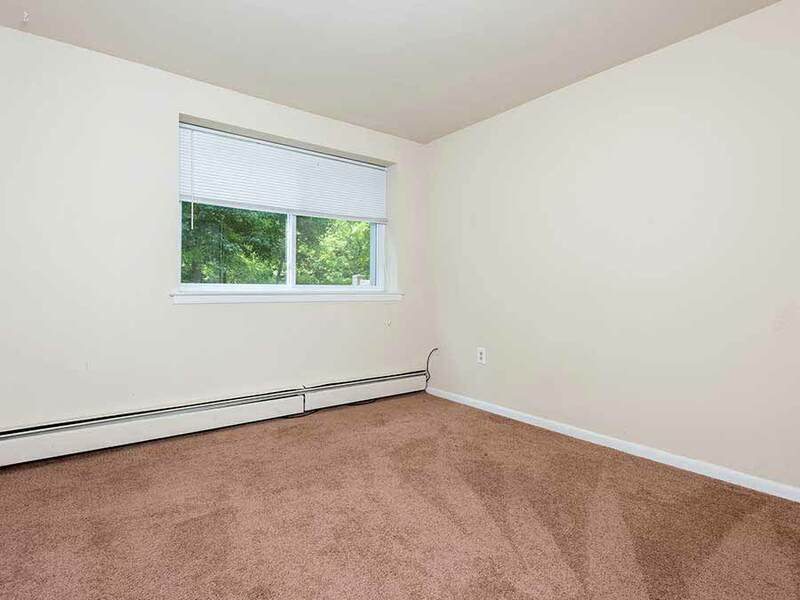 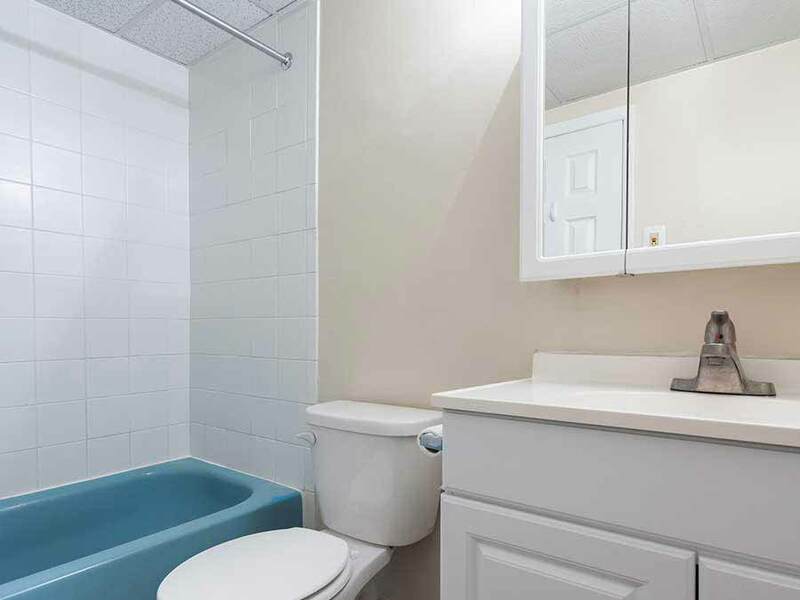 Laundry facilities are on each floor, just a few feet from your apartment. 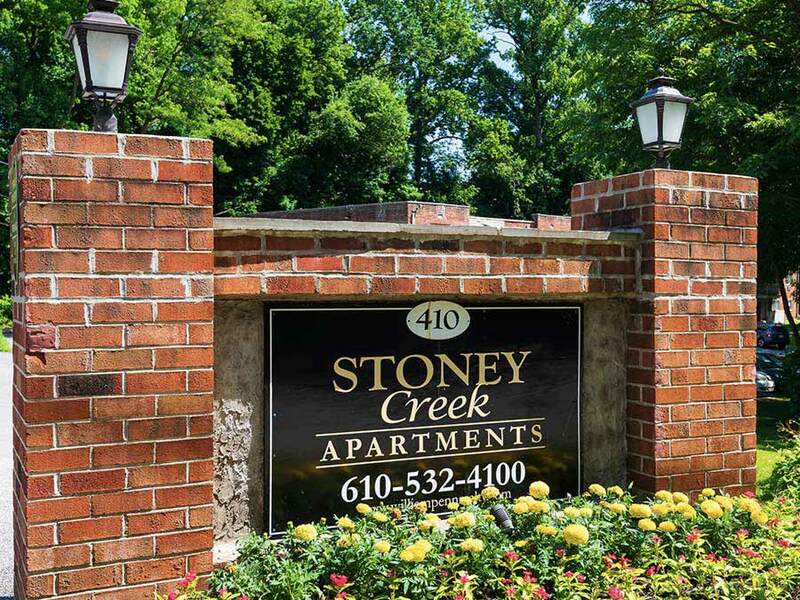 If you have any questions or would like more information about Stoney Creek, please fill out the form below and submit it to us, and a representative from William Penn Realty will contact you.